NOTICE: Requires the base game Lords of Footbal in order to play. Activation key must be used on a valid Steam account, requires internet connection. ABOUT THE GAMENow you can train your players harder than before.KEY FEATURES New Exercises - Train your players with 16 new super training exercises. Train Harder - Super Trainings have a higher level of intensity than those in the original Lords o… f Football. Medieval – Train your players with medieval themed training equipment. 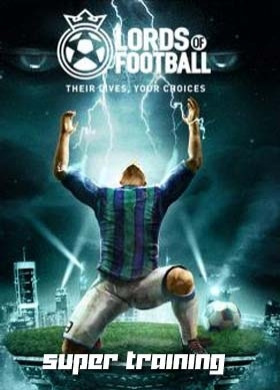 Funny - All with a sense of humour.Please note that the main game Lords of Football is required to play.SYSTEM REQUIREMENTS OS: Windows Vista Processor: Intel Core 2 Duo E6550 Memory: 3 GB RAM Graphics: nVidia GeForce 9400, 1 Gb/Amd Radeon HD 4550, 1 Gb DirectX®: 9.0c Hard Drive: 9 GB HD space ©2013 FISH EAGLE TRADING E SERVICOS LDA. Developed by GENIAWARE SRL All Rights Reserved. All other trademarks and trade names are properties of their licensors.